Toc H – An Unexpected Discovery. My cousin, Dave, and I went to the City of London a few days ago to search for Roman remains. We found some rather fine Roman walls and floors and if you want to read about them and see the photos, you can find them here in a previous post. But we also made a rather unexpected discovery which started when we spotted a blue plaque as we were walking along Cooper’s Row, EC3. 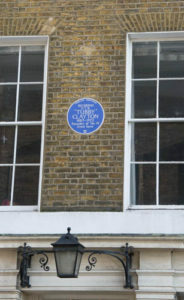 The house – 43 Trinity Square – has a blue plaque dedicated to Reverend P.T.B. 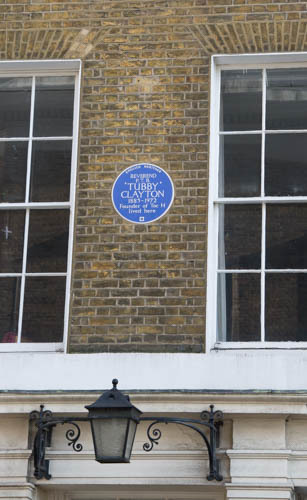 ‘Tubby’ Clayton, 1885 – 1972, Founder of Toc H. I’d never heard of Tubby Clayton although I had heard of the movement in connection with Christian youth work. Dave and I carried on to All Hallows by the Tower Church where we suddenly found all sorts of links to Tubby Clayton – hardly surprising because he had been vicar of All Hallows from 1922 until his retirement in 1962. But there were also links to Toc H, including the Lamp of Maintenance. “The Reverend Philip Thomas Byard Clayton (known as ‘Tubby’) was an Anglican clergyman, the founder of Toc H and vicar of All Hallows for forty years. Born in Australia, he obtained a First in Theology at Oxford, and was ordained a priest in the Church of England. He then became an army chaplain in Flanders, where in 1915, he and another chaplain, Reverend Neville Talbot, opened Talbot House, a rest house for soldiers in Poperinge, Belgium. It was soon immensely popular and dear to those who visited, becoming known as Toc H, this being signal terminology for ‘T’ ‘H’ or ‘Talbot House’. 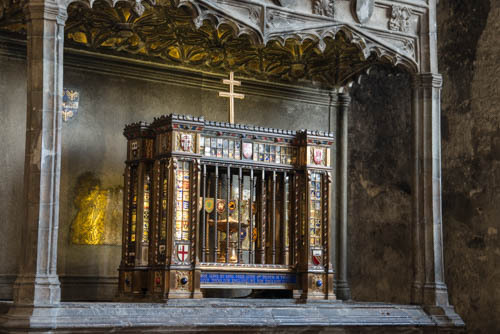 Later that day, Dave and I crossed London Bridge to Southwark Cathedral and were surprised to find that it also had a link to Toc H because Reverend Neville Talbot was son of Edward Stuart Talbot, who once held the posts of Bishop of Rochester, Southwark and Winchester. His tomb is in Southwark Cathedral with a bronze effigy on top. Poperinge, Belgium, was a busy transfer station where troops on their way to and from the battlefields of Flanders were billeted. Tubby was instructed by his senior chaplain, Neville Talbot, to set up some sort of rest house for the troops, so he rented a hop merchant’s house, temporarily vacated by its owner – to use as his base. He decided to steer away from the traditional church club and set up an Everyman’s House. It was named Talbot House in honour of Gilbert Talbot (Neville’s brother) who had been killed earlier in the year. It opened on 11 Dec 1915. In several weeks, I will be travelling to Ypres, Belgium. I’m not sure if I’ll have the opportunity to visit Talbot House although I would like to. In my next post, I’ll tell you why I’m going to Ypres.